Three fascinating things about the Dead Sea: 1) it’s not actually dead, 2) it’s not actually a sea and, 3) everyone floats in it. 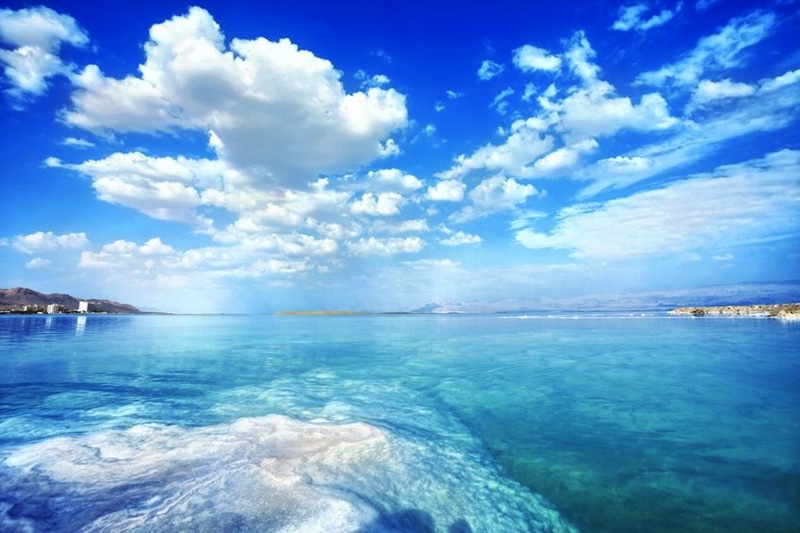 Situated between the countries of Jordan and Israel, the Dead Sea is the lowest and saltiest place on earth. The reason they call it dead is that it’s so salty, it completely lacks aquatic life. That’s right, no plants or fish. Recently however, scientists discovered thick mats of bacteria living at the bottom of the Dead Sea –– so something actually is alive in there. 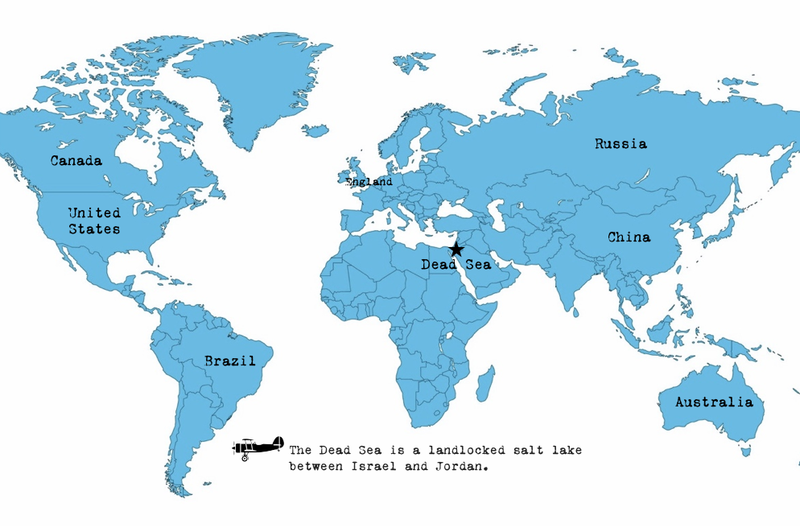 But back to the salty part: The Dead Sea is more than 33% salt, compared to 3% in a normal sea. Second, it’s not actually a sea but rather, it’s a lake. It’s about 48 miles long and between 3 and 11 miles wide and is fed by The Jordan River along with some other small canals that drain into it. Its rapid evaporation (not enough water coming in) means The Dead Sea is shrinking, and in the process it’s getting saltier. Third, The Dead Sea is a floaters paradise. In fact, you can float on the surface like a log of wood. Since the amount of salt in the water is very high, the density of the water is also very high –– making everybody completely floatable. Everybody.